This Quiozel Carnegie 3 light pendant in western bronze finish and designed by Sergio Orozco features a central globe and radiating decorative stems. 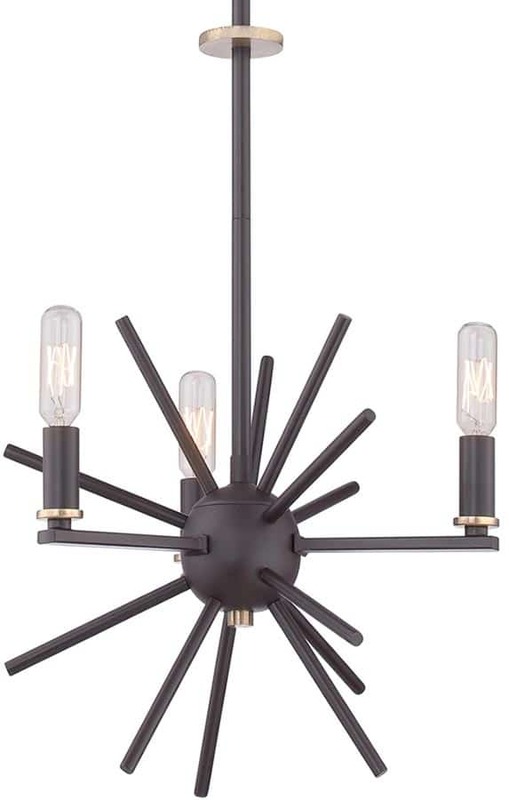 Featuring circular ceiling mount and chain suspension connected to a central rod, with central western bronze globe and three flat bar section lamp arms radiating in a circle. Round bars radiate from the globe in all directions giving a ‘starburst’ look to this ultra-modern light fitting. Supplied with exposed vintage light bulbs that add elegance and complements the western bronze finish. 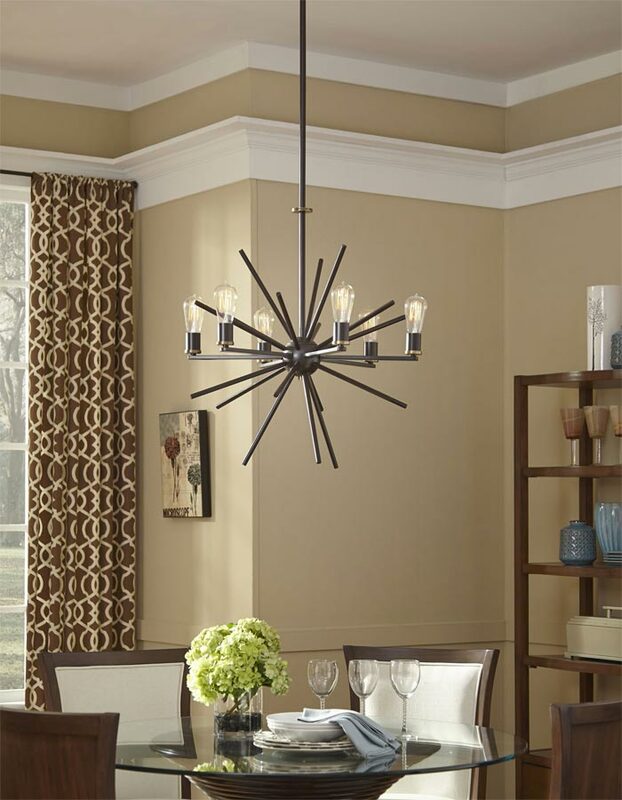 A nostalgic-inspired design from the Uptown collection, this contemporary designer centrepiece chandelier is perfect for any small modern room and particularly suited to a breakfast room, living room, dining area, bedroom or hallway. This contemporary light is supplied by Elstead Lighting and designed in the USA by Quoizel, founded in 1930 in New York. Their designs embody a history of being artisans in glass and natural materials that illuminate your living space and enhance the beauty of your home, such as the Carnegie 3 light pendant in western bronze finish and designed by Sergio Orozco featured here.